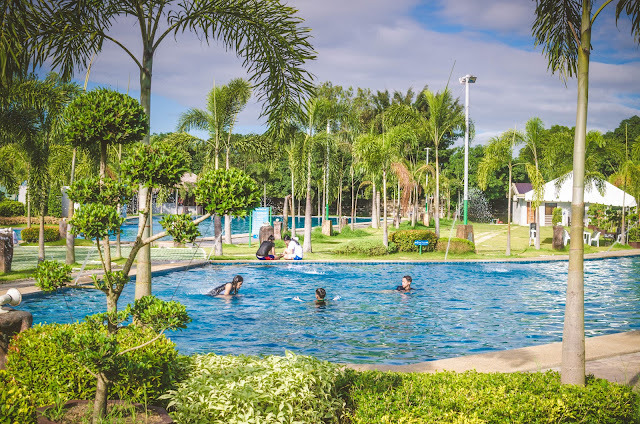 Last December, my travel blogger friends and I spent a weekend in Bustos, a second-class municipality in the province of Bulacan. On our way back to Manila, we decided to check out Cafe Apolonio sa Bahay na Bato for lunch. Karl of Turista Trails said it was one the most famous ancestral houses in Bustos, which has been converted into a restaurant. Bahay na Bato sounded good plus I love everything about history, so I said we should definitely check it out. 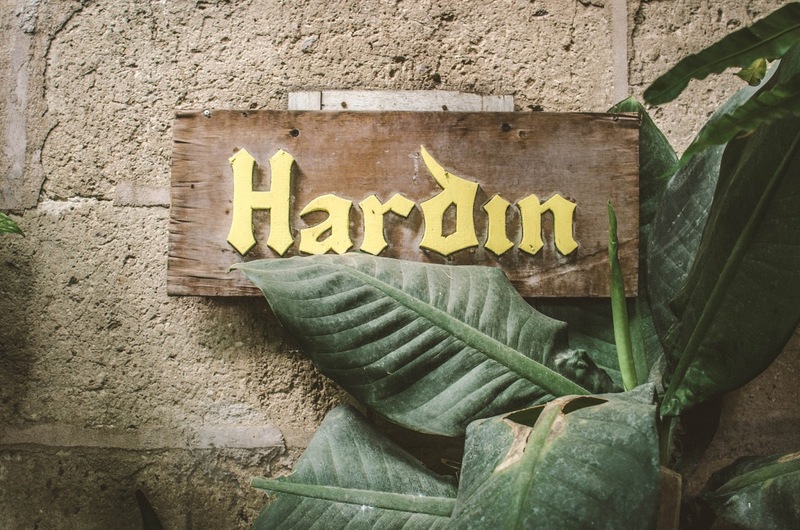 You'll find wooden signages everywhere in Cafe Apolonio. 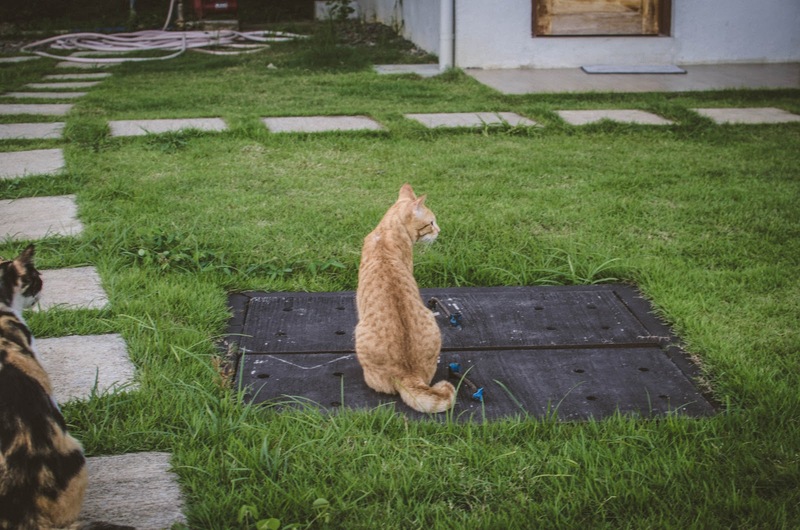 When I entered their front door, I felt like I stepped into a completely different world. I found myself in an old colonial house with antique furnitures and photographs, old china and silverware, intricately carved concrete columns of the house, windows with old capiz and stained glass, and the stone Arco - the main structural attraction of Cafe Apolonio. Clearly, the restaurant boasts a nostalgic, rustic-style, and antique memorabilia that reflects the roots of the family. It is rumored that Jose Rizal stopped over in this house en route to San Rafael and Malolos. 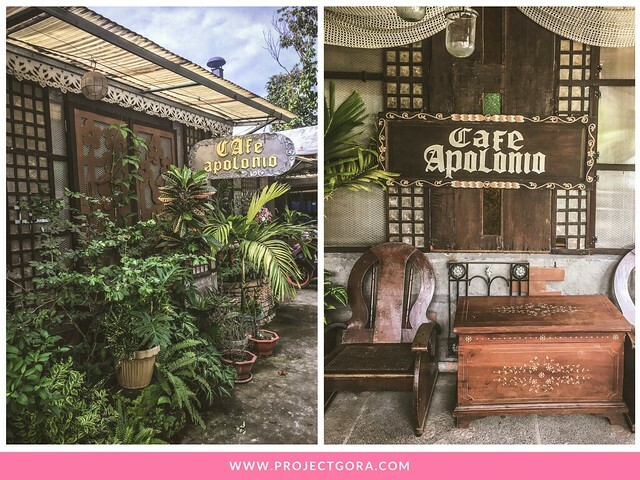 According to the cafe's Facebook account, Cafe Apolonio is named in honor of the late Apolonio Perez, grandfather of the fourth generation of the Perez Clan. 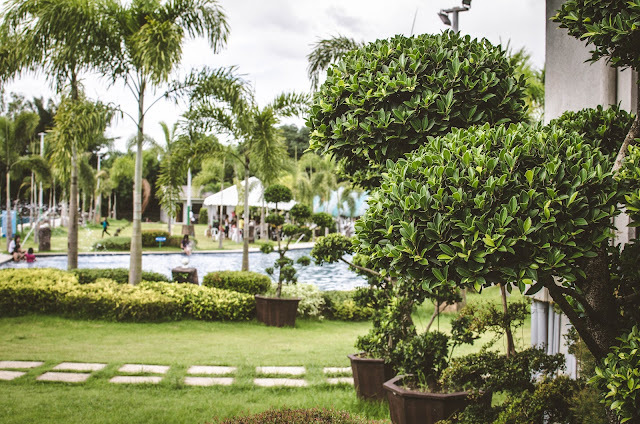 It was conceptualized with the idea of opening a Kapihan sa Bahay na Bato with an ancestral ambiance and serving its guests with old Filipino and Spanish cuisine. I was quite excited to see the menu when we settled into our table inside the Arco. However, I was quite shocked when I saw it. I was expecting to see traditional Filipino and Spanish Cuisine but instead I found Pasta, Burgers, Potato Fries, Waffle, Hungarian Sausage, among others. I was quite confused because the restaurant’s theme is old Spanish-Filipino but the food it serves is very international. So, our group decided to try two dishes - Sinigang na Baboy and Bicol Express. We were served a big bowl of Sinigang na Baboy. This dish was okay. It has watery soup, which was a disappointment for me. I guess I was so used to the thick soup I always had at home. Bicol Express, on the other hand, was really good. It was a little spicy (I would say a little because I have high tolerance to spicy food) and a little sweet. It has creamy consistency with many bits of pork, green beans and red chili. You will definitely eat a lot of rice with the Bicol Express. It was super delicious! With just two dishes to try that weekend, I think it’s too early for me to say if Cafe Apolonio’s dishes are a must-try. While we were touring Bustos, however, I realised why they probably serve international cuisine. I think it was because they want to offer their local customers the comfort of Filipino-Spanish dishes while at the same time, the opportunity to diversify and try something new. 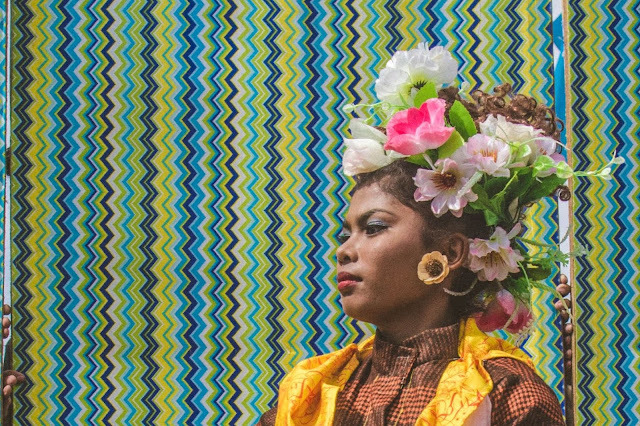 Since there aren’t many restaurants to choose from in the small municipality of Bustos, Cafe Apolonio provides many options to its customer while they incorporate their own unique identity in to their cuisine. This concept is basically being customer-centric. I will definitely go back to the restaurant and sample the other Filipino-Spanish fare. Have you tried the dishes at Cafe Apolonio in Bustos? Do you have any restaurant suggestion? Let's chat down below! La Florentina Resort is one of the places I wish I could go to every weekend. But I’m afraid I don’t have the luxury of time and money. However, I would definitely go to this resort for a quick barkada or family holiday! 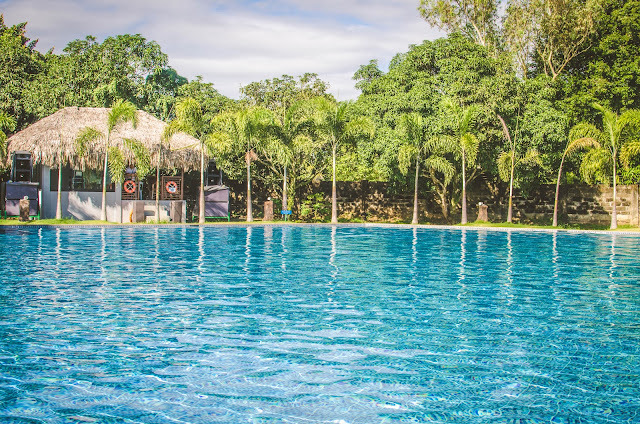 I absolutely loved the place so let me show you how our weekend stay went at the resort. 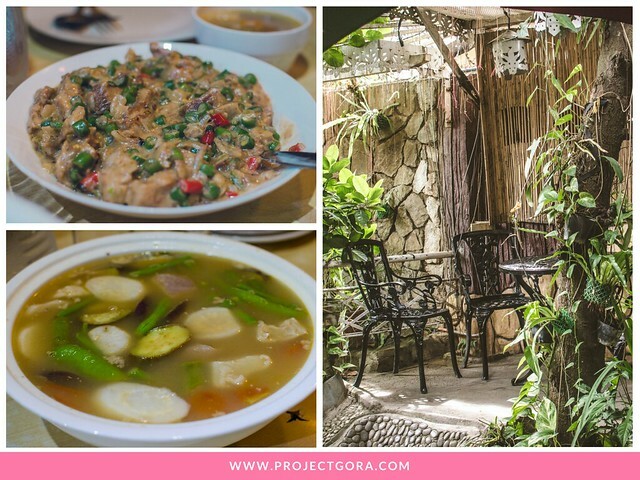 Where to eat in Bustos, Bulacan? 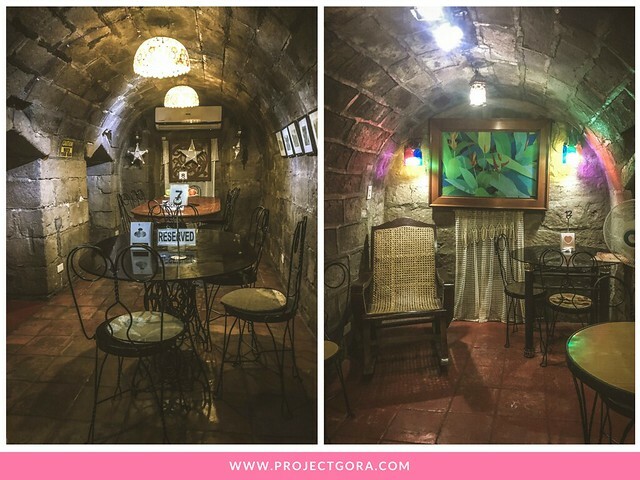 Check out Cafe Apolonio sa Bahay na Bato. 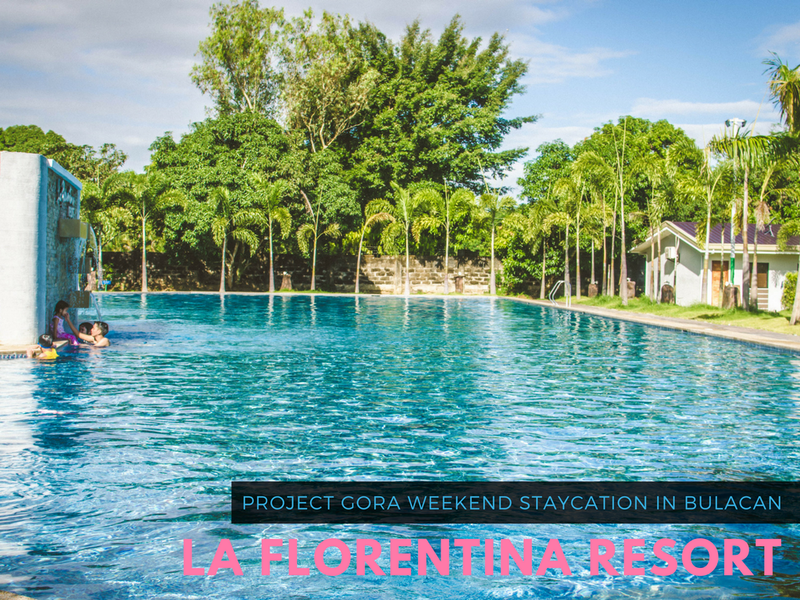 One of the newest resorts in Bulacan, La Florentina Resort - a collection of 12 villas and 100 Nipa Hut cottages - is a family friendly retreat in Bustos. Settled within 4.5 hectares of Mango plantation with over 100 sweet smelling mango trees, the property is minutes away from the town’s historical attractions. 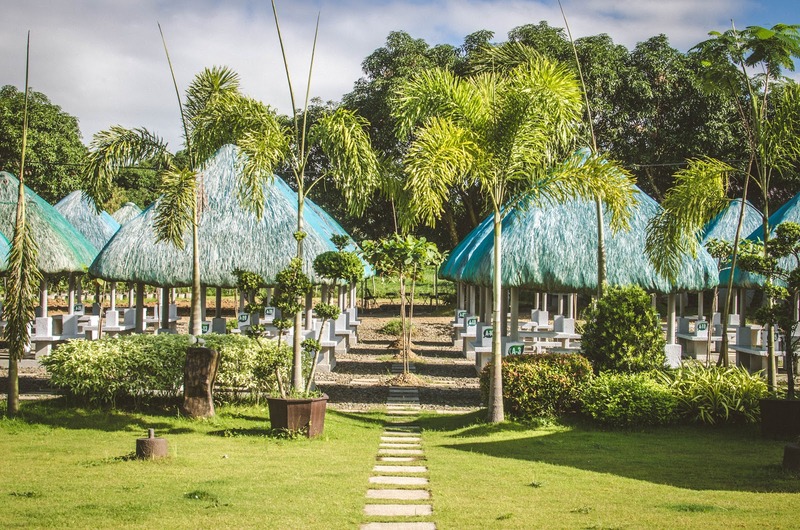 A 30-minute private car ride via Plaridel Bypass Road (or 1-2 hours bus ride from EDSA), La Florentina Resort is a tranquil paradise framed bu towering palms and mango trees. The resort was conceptualized by Filipino couple as a family friendly estate to escape the hustle and bustle of Metro Manila. 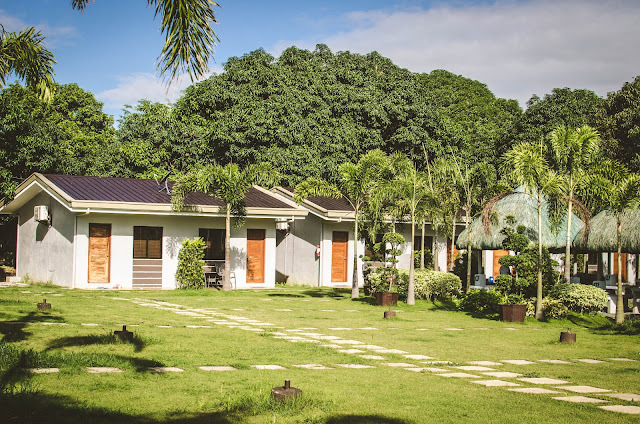 Located on the farther side of the resort, my home away from home was a 30 sqm Garden Villa - a cosy room that provide up-close views of the resort's lush tropical gardens and Mango trees. 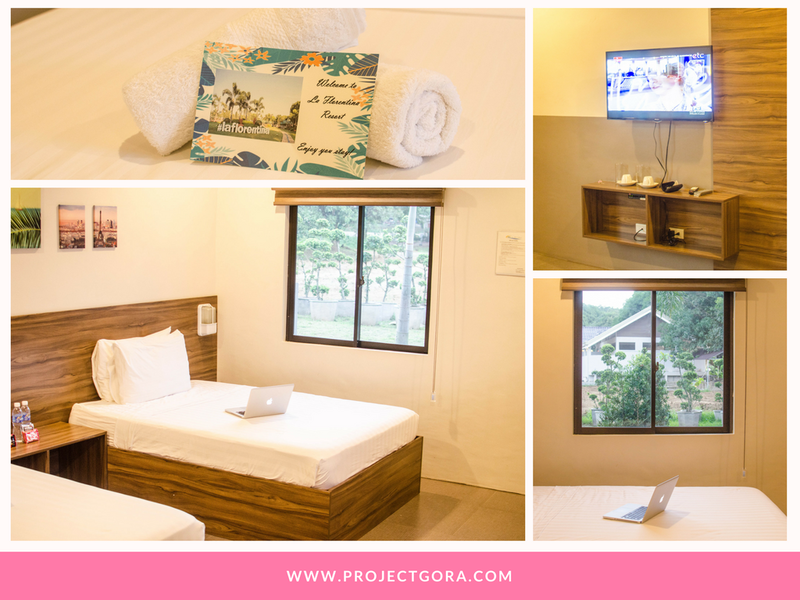 Adequately furnished, my room featured two double-sized beds that showcased a wooden headboard and side table, and framed prints of random landscapes. 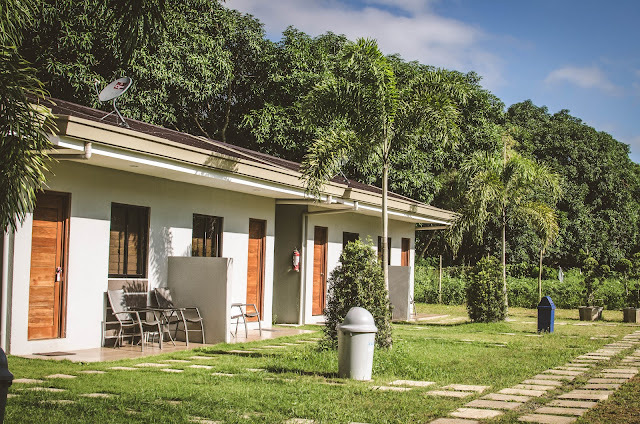 In conformity with the resort's modern minimalist buildings with whitewashed interior and contemporary grey walls outdoors, the rooms are decorated with minimalist furnishings. The mattress is comfortable and firm. The bathroom is very basic but clean. There is a LCD TV with wooden fixtures. Outside the room, there are chairs and tables, which afforded me a front row seat to take in the glorious garden views. 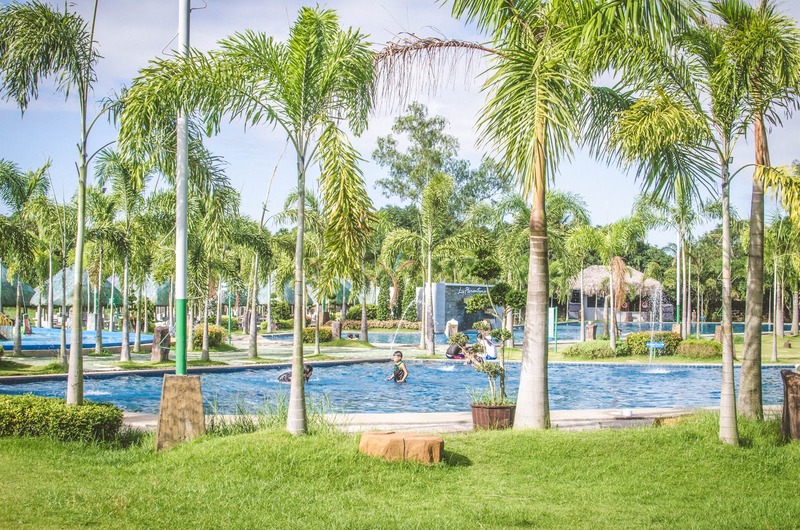 La Florentina Resort’s food hub mainly serves local and fusion cuisine. 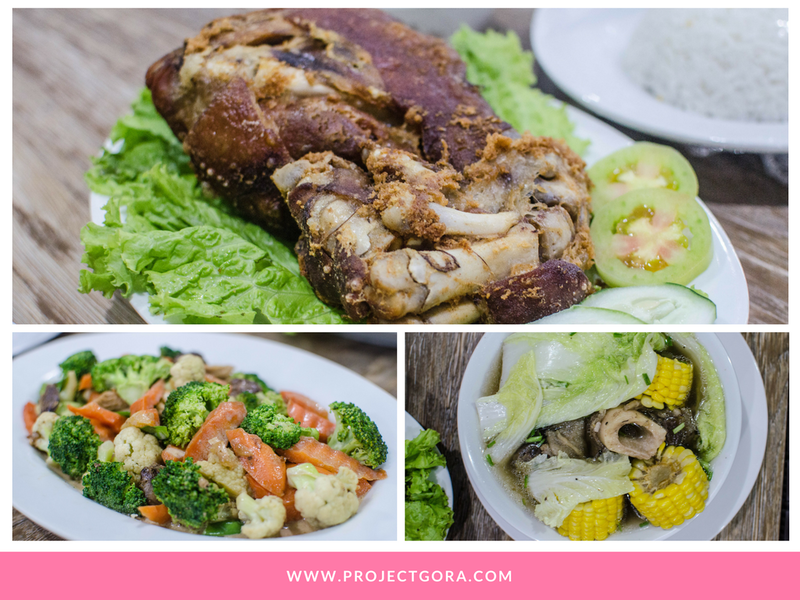 For dinner, we tried the Crispy Pata (deep fried pig trotters and knuckles), Mixed Veggies, Bulalo (Beef Bone Marrow Soup) and Steamed Rice. 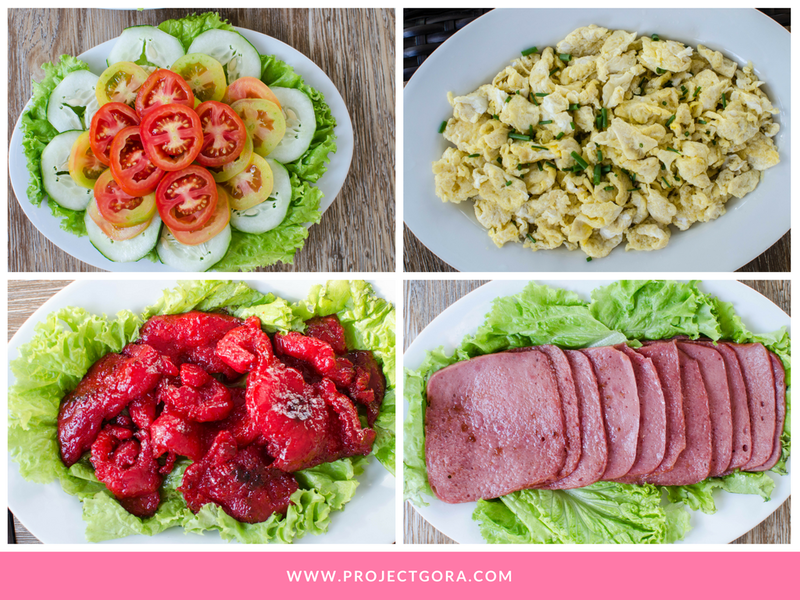 For breakfast, we had the usual Filipino breakfast food like Tocino, Scrambled Eggs, Veggies, Ham and Fried Rice. Everything was so damn delicious! Note: During off-peak season, only one food stall is open in the resort. Food selection might be limited so I advise bring your own food. La Florentina Resort features one large outdoor Olympic Size Swimming Pool. Kids will surely have fun at the adjacent playground kiddie pool where is a mini version of a water slide. 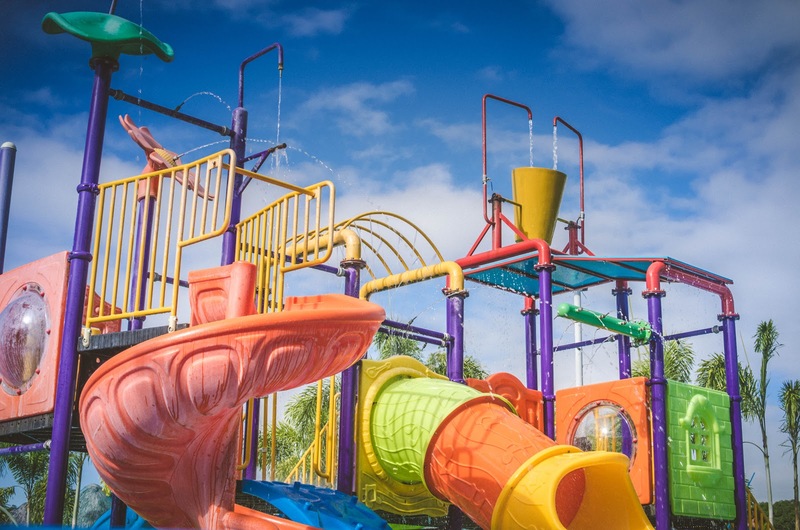 On the other side of the kiddie pool is another pool deep enough to be fun for older kids and teens. Lifeguards and other staff are stationed near the pool to ensure everyone's safety. The only problem? Getting out of the water! A big thank you to Karl Ace of Turista Trails for asking me to be a part of this trip. 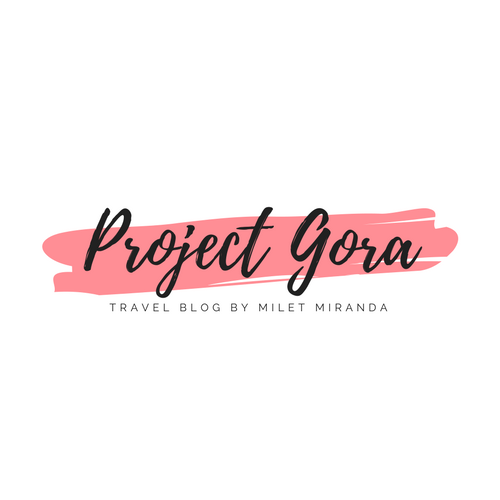 A big thank you to my fellow Pinoy Travel Bloggers as well! 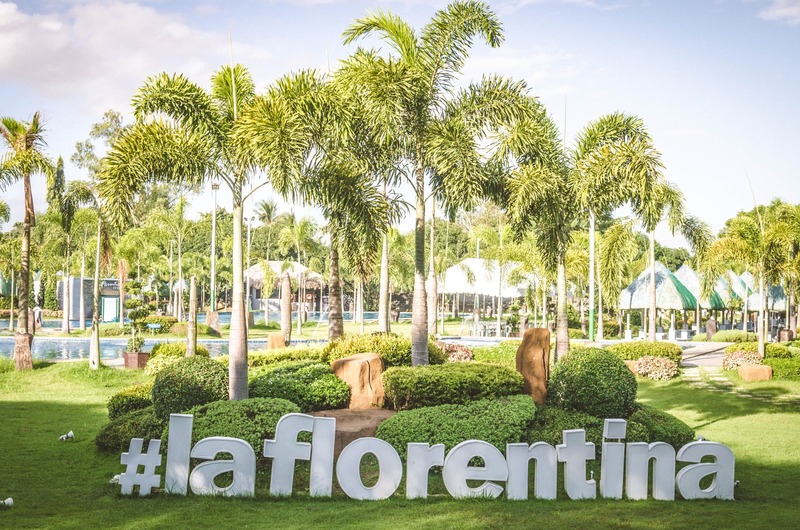 Lastly, thanks a million to La Florentina Resort for relaxing weekend staycation! To my dear readers, if you need more information about the resort, you may send inquiries at laflorentinaresortphils@gmail.com or send them a message at @LaFlorentinaResort on Facebook. 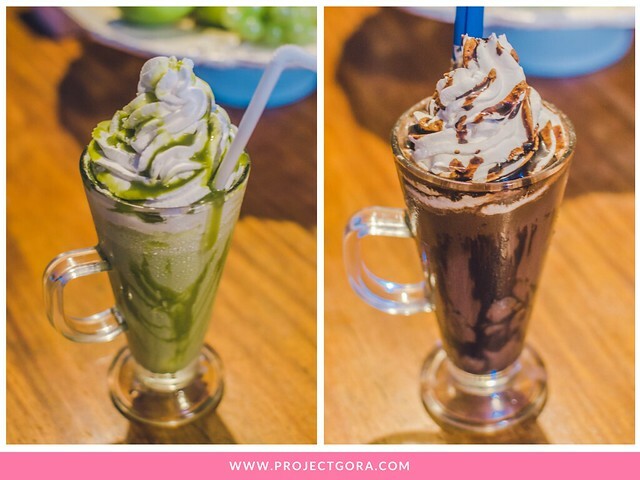 Make sure to check out the review of my blogger friend Riza of Rinzanoia here. - Board a bus (Baliuag Transit) bound for Baliuag, Bulacan. One way bus fare is 75 pesos and travel time is approximately 2 hours. - Get off at Baliuag Bus Stop and look for Petro Gas Station where you will find the tricycles. - Take the tricycle to La Florentina Resort. Special fare is 90 pesos and travel time is about 20 minutes. 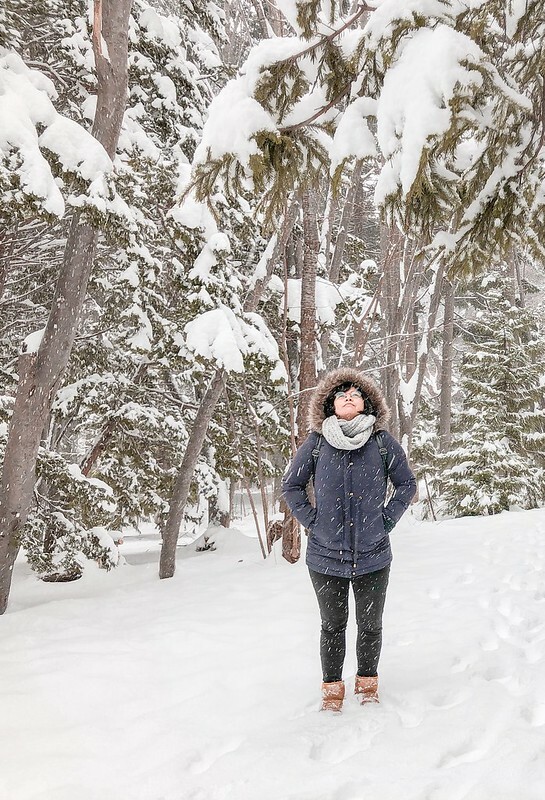 Disclaimer: This is a sponsored trip but as always,. all opinions are my own. 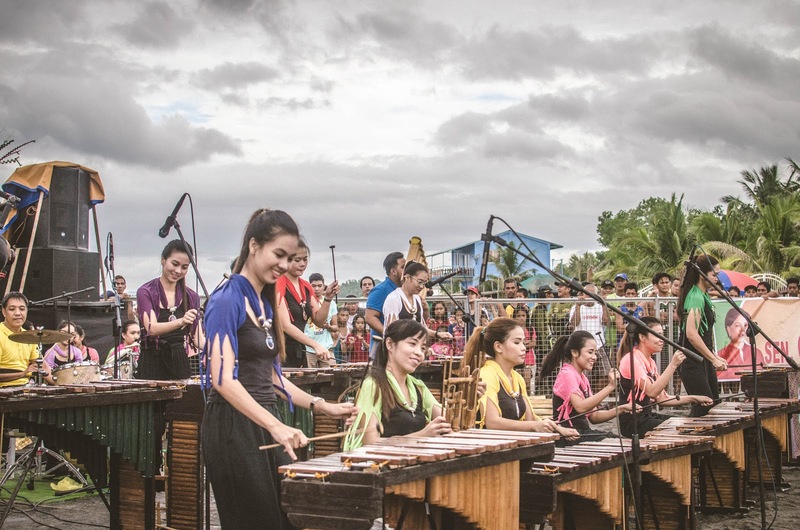 While everyone else in the country is busy with Christmas shopping, the people of Morong, Bataan is celebrating the Pawikan Festival, an annual celebration held at the Pawikan Conservation Center in Barangay Nagbalayong. I have attended this festival last year, and 2017’s festival was much bigger in terms of the number of audience and corporate sponsorship. 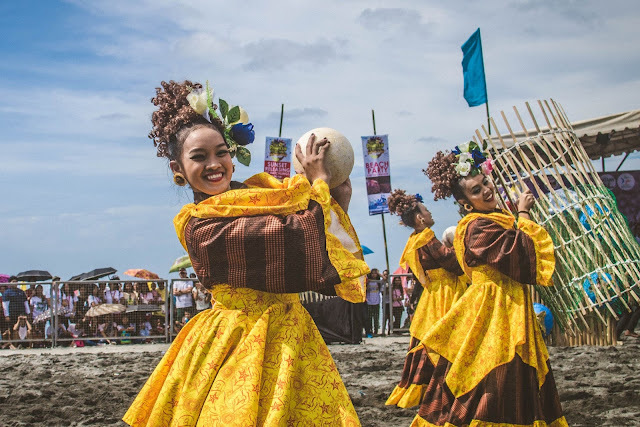 The annual Pawikan Festival celebrates the community-based conservation efforts to save the pawikans (sea turtles) and commitment to environment protection of the province of Bataan. 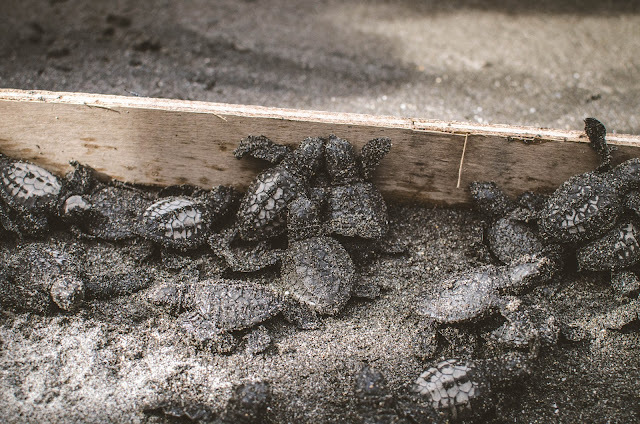 Founded in 1999, the Pawikan Conservation Centre and the former poachers turned Bantay Pawikans continuously fight for protection of sea turtles. 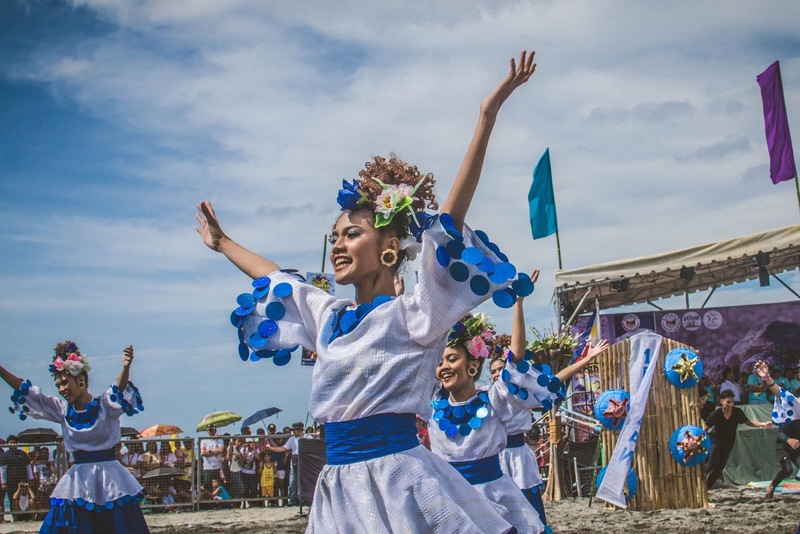 Because of Bataan’s contribution to the environment, the province received the Best Tourism Event (Provincial Category) of the Association of Tourism Officers of the Philippines (ATOP) – Department of Tourism (DOT) Pearl Awards in 2016. 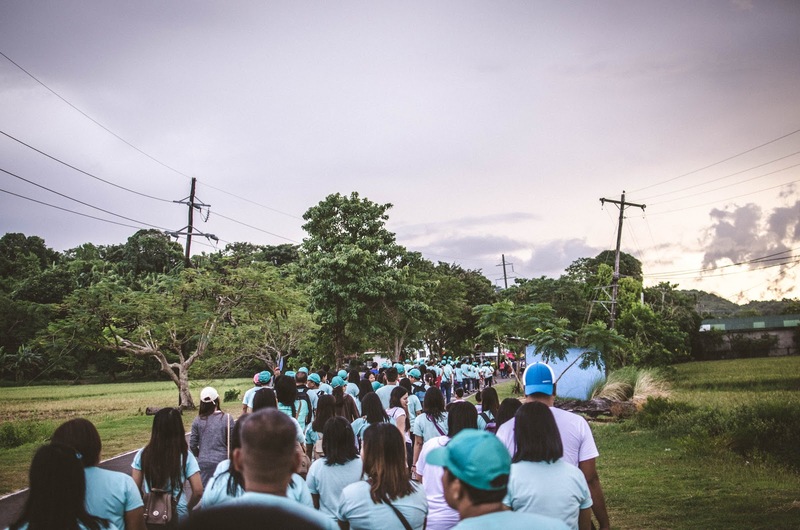 Hundreds show up for the ‘Alay Lakad’ walk for a cause, which was the first activity of the Pawikan Festival. 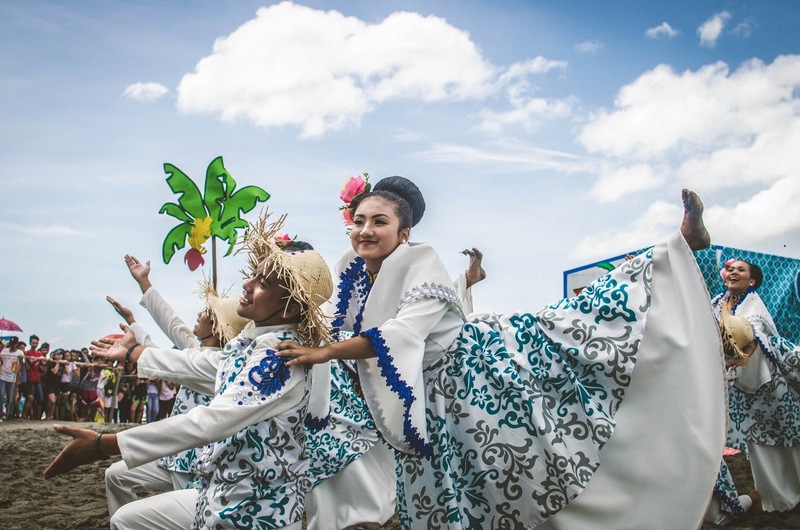 Various activities were also lined up for that day, such as trade fair, sand sculpture contest, body painting, and mural competition. 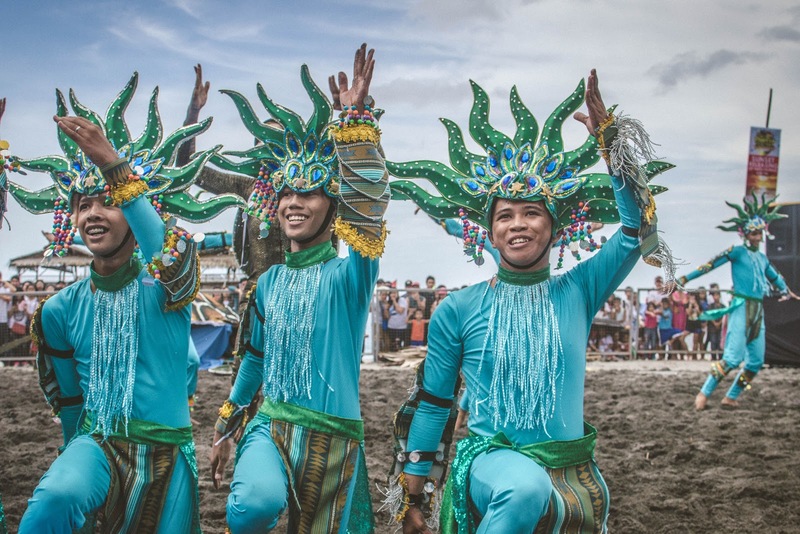 Unlike last year, the much-awaited Street Dance Competition, participated by 12 towns of Bataan, commenced at around 10 AM. Dancers in pawikan-inspired costumes performed their routines with confidence as they thumped their feet on the sandy beaches under the scorching heat of the sun.The festival ended with the Street Dance Competition Awarding Ceremony, followed by the Sunset Concert and Beach Party featuring local artists. 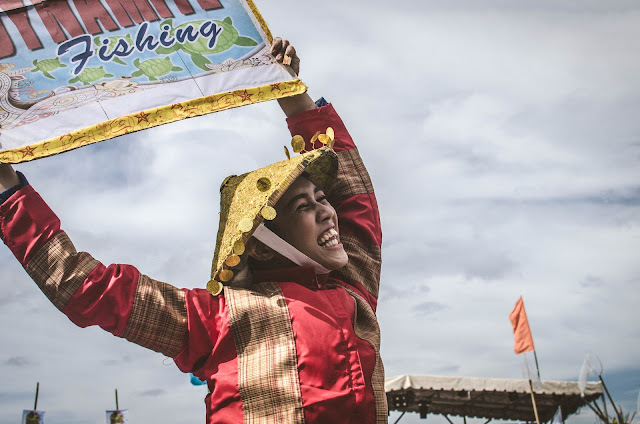 Senator Cynthia Villar, joined by Bataan Governor Abet Garcia, Mayor Cynthia Estanislao and Bataan Tourism Council Foundation Chair Vicky Garcia, led the annual releasing of Pawikan hatchlings into the sea, which was the highlight of the whole-day festivities. 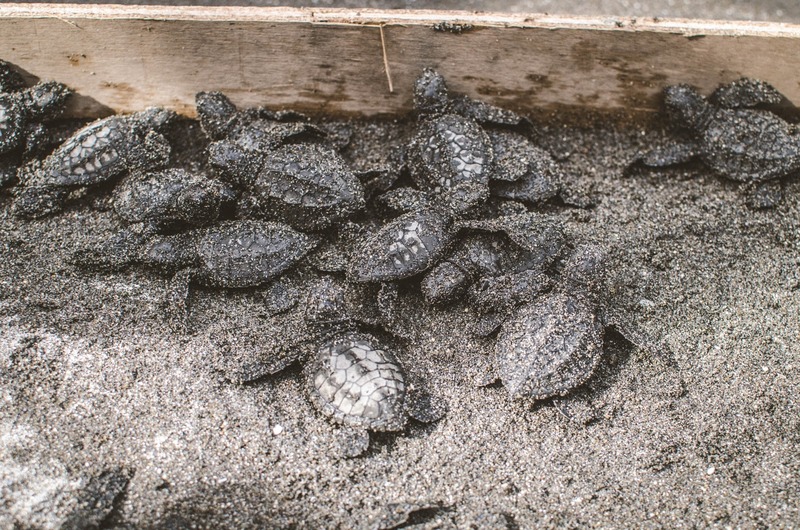 Less than a hundred Olive Ridley turtle hatchlings were released to the sea, which delighted the locals and tourists. Unlike last year’s releasing, it was a bit chaotic that day because of the large number of excited visitors trying to get a glimpse or a few snapshots of little pawikans making their way to the ocean. Why is it important to save the sea turtles? 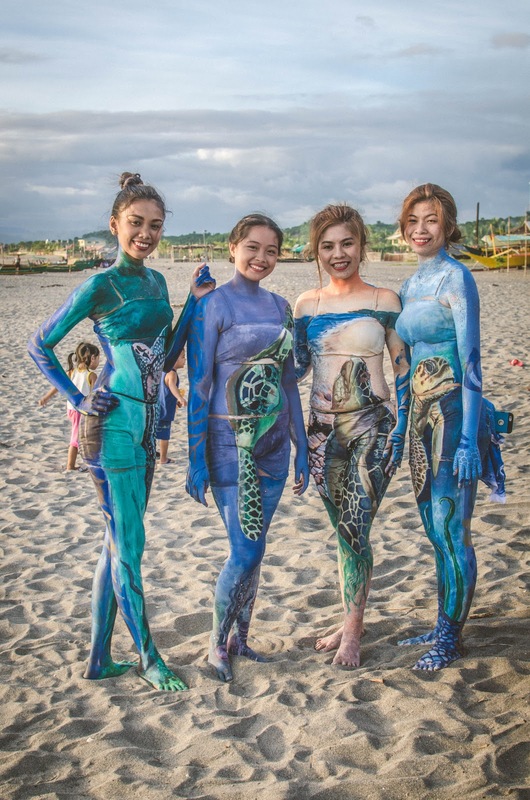 While I know that Pawikans (sea turtles) are endangered species before I went to Bataan last year, I did not know it then that they play important roles in marine ecosystems. On last year’s festival, I learned that around 100 eggs per nesting were laid by each female pawikans but only with one percent survival rate. 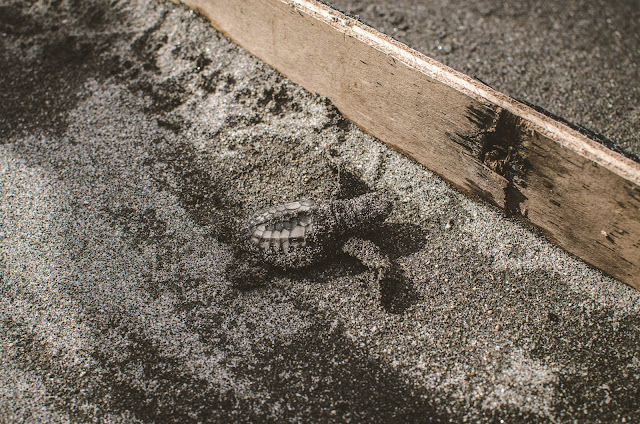 Illegal fishing methods, destruction and disturbance of their natural habitats, and poaching by local and foreign fishermen are the primary reasons of the decline in the sea turtle population. Do not leave garbage on the beach. If you can, pick up trash and dispose it yourself in the garbage bin. Volunteer and participate in beach clean-up events. Don’t disturb nesting females and minimize beach lighting. DO NOT buy or sell pawikan (dead or alive). This is a crime! Violations should be reported to DENR and the Bureau of Fisheries and Aquatic Resources under the Department of Agriculture. 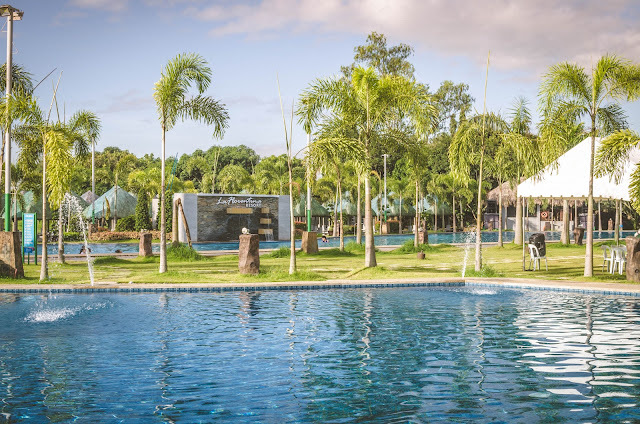 Best time to go - According to Manolo Ebias, head of Pawikan Conservation Center, November to February is the best time to see the pawikans in Morong, Bataan. These months are their “peak season” as female sea turtles go back to the shore to lay their eggs. How to get there - Pawikan Conservation Centre is located in Barangay Nagbalayong in Morong, Bataan. From Cuba EDSA, take a bus (Bataan Transit, Genesis Bus or Victory Liner) to Balanga, Bataan. From there, take another bus or jeep to Morong, Bataan. You may hire a tricycle to get to the Pawikan Conservation Center. Estimated travel time is 3 to 4 hours. Where to stay - There are many types of holiday accommodation in Bataan, from luxury hotels to cheaper accommodation like guesthouses and bed and breakfasts. If you’re on a budget or you want to camp out while waiting for the sea turtles to hatch, you may stay at one of the rooms available for rent at the Pawikan Conservation Center. 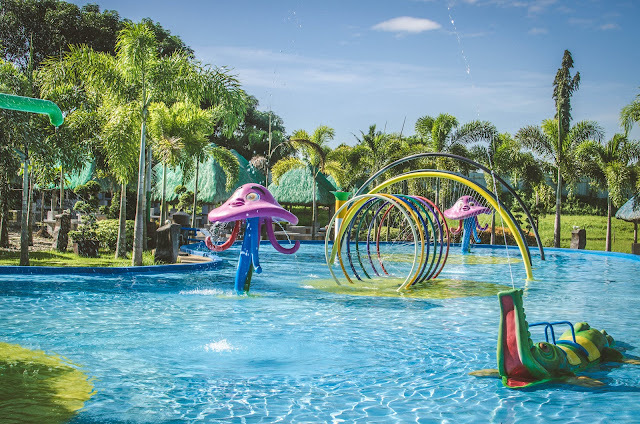 Other attractions in Morong - Aside from the beaches and the Pawikan Conservation, Morong boasts a few other attractions like Bataan Technology Park (the former Vietnamese Refugee Camp) and Loleng's Hu Tieu-an (known for their Pinot-Style Vietnamese Hu Tieu-an). Special thanks to Bataan Provincial Tourism for making this trip possible!